October 6-8, 2012 : Still in New Zealand!!! After a fun plane ride on Air New Zealand, I checked into the Elms Hotel in Christchurch. 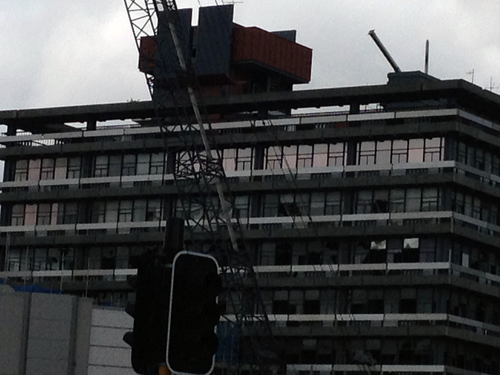 Christchurch suffered extensive damage during the earthquake 2 years ago and is still trying to recover. The downtown area is pretty much closed down, homes have been abandoned, and many buildings have been demolished. The Elms has no reception area, restaurant, and no services... so after checking in, I put 2 large duffels and my 2 carry-ons on a dolly and rolled it up to the 4th floor. I spent most of the day trying to connect to Wi-Fi (which never did work) and waited for Murphy (my photography assistant) who arrived around 6:00. We settled in and went to the George Hotel to eat and use the Internet. Murphy and I discovered Brigittes, a cute cafe in the Miraval area of Christchurch, for breakfast. After a leisurely morning, we went to the CDC office (Clothing Distribution Center) where we were briefed, computer checked, and received our required gear for any trip within or to Antarctica. Black wind overalls, black balaclava wind stopper (face mask), goggles, black fleece hat, Red USAP Antarctic Jacket and White rubber thermal "moon" boots. 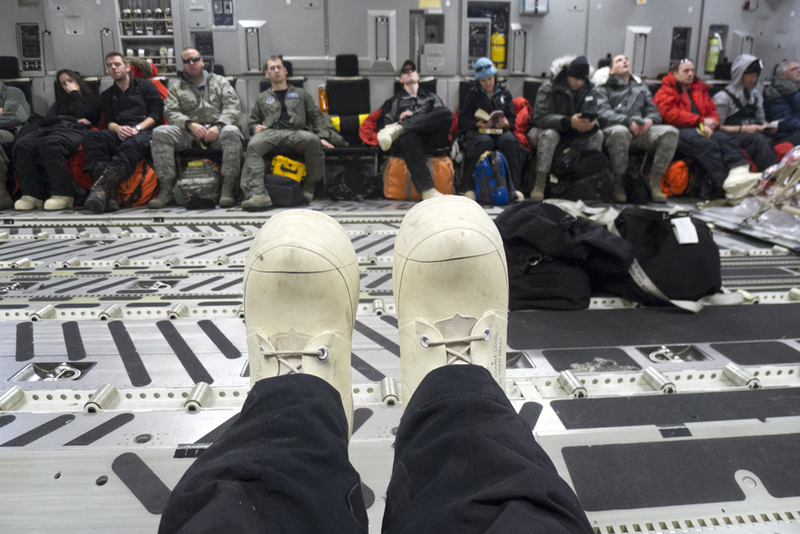 We are required to wear this gear on all flights including the C-17 Cargo plane that will take us to McMurdo. We were also informed that many times as you are approaching Antarctica (5 hour trip) the weather is too bad to land so you "boomerang" and come back to Christchurch. Sooo, you need to pack a boomerang bag with enough items for 2 days and in case you do return to Christchurch, you will have some clothing and essentials. We had a fabulous Thai dinner with Lou Sanson (who heads the New Zealand Antarctic program), after picking up 3 bottles of 2009 New Zealand Pinot Noirs to bring to McMurdo. Upon arriving home from dinner, we were told that our deployment from Christchurch was delayed 24 hours so we would not be leaving the next morning. Murphy and I checked out of the Elms and headed for the Commodore Hotel...Wi-Fi!! That is why I have been writing the last 3 days of events today! We also have a restaurant! And a sauna and pool. So we viewed it and there was no visibility.. it now looks a little better but it will have to stay clear and the runway needs to be cleaned before we can be authorized to leave New Zealand. We shall see... Low-key evening. Looks like McMurdo is clear!! But they had to clear the runway and road so we will not be leaving until tomorrow. Quite balmy compared to what we are going to. I think McMurdo is 9 degrees today. Not bad. It looks really beautiful and clear. We then went to a 4D Antarctic theater equipped not only with 3D visual effects but waves and seals spraying water on us, seats vibrating as we hit the icebergs and snow falling on us as we went through storms! The center is quite informative and a good way to begin to understand the complexities and beauty of Antarctica. Lou dropped us at the city center where we saw the devastation caused by the last earthquake and the temporary containers set up as shops. 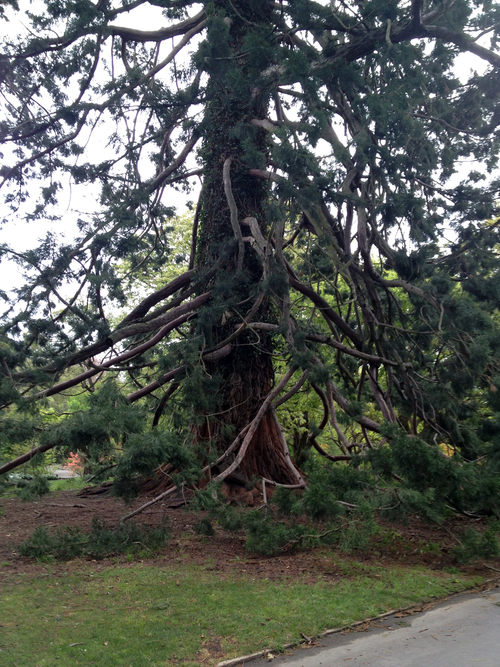 After lunch we walked through Hagley Park…ancient exquisite trees, Azaleas, fields of flowers, swans and ducks. We then went to the Antarctic Installation, "Icefest" - pretty interesting. And finally headed back to find that we are scheduled to leave at 6:30am tomorrow. Unfortunately, we cannot go on the C17 (Cargo aircraft) because the ice is not firm enough so we will have to fly on the airbus. But if it stays clear we will have an amazing view as we land tomorrow!! Well… I am here!! It is the most beautiful place in the world. 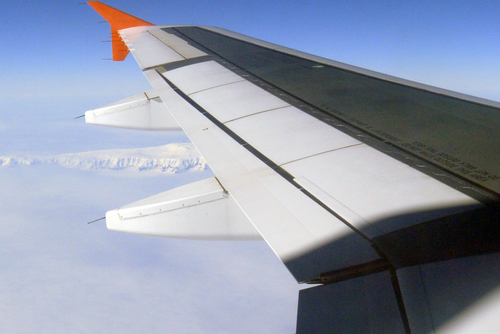 We flew here on an airbus and flew over the sea ice with incredible cracks and ice formations. We all need to dress in our ERB clothing. Moon boots are a must. On the bus to McMurdo. We received our briefing and settled into dorm 203B. Room 213 is equipped with one bunk bed, one single bed, 2 closets, a chair, a desk, and a dresser. The view from our window is pretty awesome. After one day of heavy training - learning how to use our VMF radio, our pagers, touring the science labs (Crary) and meeting with my NSF manager - we were ready to do the mandatory "Happy Camper" on Friday and Saturday. This involves learning about the hazards of cold weather and how to survive if we are stranded. We really experienced the cold... it was -63 degrees!!! I learned what clothing will and will not work in such conditions. We all could hardly move. The only way to stay warm was to work. We learned to make a snow wall by sawing rectangular blocks of snow. The wall would block some of the wind coming from the south. The tents would be set up in back of this wall. It seemed that the only time in my life that I would be able to sleep in the snow was now, so I took advantage of the skills of Patrick (who is a builder from Chicago) and slept in an ice cave that he created for three! This is Murphy digging her ice cave!! Here we are: Lya, Patrick and me in "The Taj Mahal"
The evening was beyond freezing. I slept with two pairs of wool socks with a toe warmer in between the layers, three pairs of assorted fleece and long under wear, two long underwear tops with a fleece on top, my bib overalls, and a hat. All under a fleece mummy liner inside a down mummy sleeping bag. Morning was difficult. Very cold. We had to try and eat something, take down the camp and head back to our hut for more training. I was a "Happy Camper" but I was also happy to be back in some warmth. Finally back at McMurdo. Happy to have a long hot shower...a nice hot meal and go out to their local Saturday night bar, "Gallaghers". Pretty good band and a great DJ. 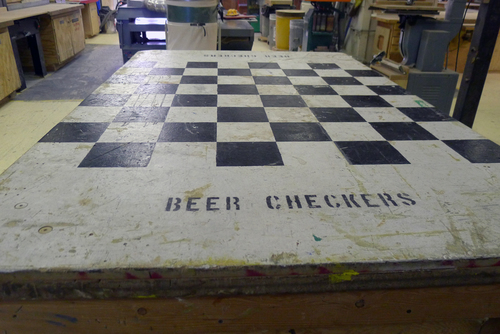 Most of the scientists and people that work at McMurdo are pretty young - college, College PHD's - so there was a lot of beer and some great dancing. Sunday here is a day of rest... so brunch is from 11-1 and it is pretty elaborate. We finally received our cameras, etc. and I am now able to email you. Tomorrow is a day on the Sea Ice!! So excited!! Well. It has been one adventure after another! Today was our Sea Ice training. Antarctica swells to 1/3 more its size during the winter by the addition of frozen Sea Ice. It is under this Sea Ice that the scientists explore the ancient flora and fauna that is unique to Antarctica. There are a group of divers here that dive below the ice and gather information for various scientists. 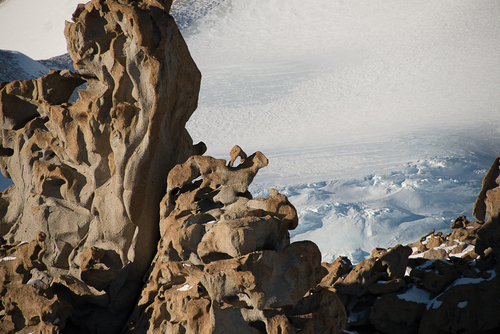 Scientists from all fields study Antarctica because of its unspoiled environment. There are scientists studying bacteria and worms, sea urchins, various fish, penguins (Emperor and Adele), paleontologists, etc. I am completely in awe and have decided to record some of the work that they are doing. In order for me to accompany them on the sea ice, it is required that I take a Sea Ice course, so we can learn to recognize an area that is too thin to cross (even if it is covered in snow). We need to recognize a crack or a thin area. We can also determine the thickness of the ice by drilling several holes through the ice. Learning how to operate the drill is not as easy as it looks!! The view out here is extraordinary!! Dear All... Today we learned all about snowmobiles... How to see if they were functioning when we brought one out in the field... Including checking for air in the air intake, checking the engine belt, changing the spark plugs in case of engine flooding!! We then set out to the sea ice to try out the snowmobiles... So much fun!! Everyone here is so fascinating... tomorrow we are off for our first aerial photography. Flying to Marble Point and back over a few sea ice locked icebergs and some glaciers. Hi!! Today was one of the most amazing days!! One of the things on my "to do " list, was to record the sounds of Antarctica. Penguins were on the top of the list... We had a permit to go to Cape Crozier to see the Emperor Penguins but it is very difficult to access them and it requires an Emperor Penguin expert scientist to accompany us. Paul Ponganis is the expert in Emperor Penguins and we were lucky enough to be able to accompany him. It was a matter of going now or never. The Emperors make their colony in the sea ice. They find areas where the sea's underwater currents have made formations allowing them to be in protected areas. On approximately Oct 17, the Adele Penguins (20.000) come to the mouth of this area. This area then becomes a protected area and no one is allowed to go closer. We left McMurdo by Helicopter at 8:30 AM and flew to a landing spot about a 2-hour hike away from the Emperors. Using stabilizers on our boots and Ice Axe, we climbed down rocky terrain to the Ice. It was very difficult to find an area to cross that wasn't blocked by huge chunks of ice or by icy water. On the way we saw a Weddell Seal and her cub. We spent an hour fascinated by the Emperors and their behavior. They waddle along but if there is a crack in the ice, they lie down on their belly and slide across. Pick themselves up by their beak and continue. There were several baby chicks that had just been hatched, snuggling up to their parents asking for food. Not all of the parents would give in to their requests. One Parent found a dead baby chick and tried to revive it. The sounds of these birds are like music. We then climbed up a steep, rocky slope for 1 1/2 more hours to the comfort of our helicopter. View on the way home!! Evening is dwindling...So I though I would take the opportunity to photograph the last glimpse on night (12:00 AM) it then becomes light again. Murphy, Loomi (from support) and I all met at the Heliport at 7:45 to start our second day of photographing. Lake Vanda, was one of the most magical places that I have ever been to. The lake is a hypersaline lake (the most Saline lake in the world...10 times as saline as the dead sea). It is about 220 feet deep. It is a meromictic lake which means that the deeper layers do not mix with the shallower layers.... the bottom layer is around 73 degrees F, the top is around 37 degrees F. it is covered with a transparent ice sheet which is around 11 feet deep. This layer freezes during the winter and melts in the summer (December) causing a liquid moat to form. When it refreezes it is deeply rooted with cracks and melt lines. So you can imagine how magical it is to look down into this maze of cracks, bubbles, fissures, etc.. The sun is very low right now and soon we won’t see it. So by 12:00 noon we were in shadow and headed up to Bull's Pass to visit the area of the Ventifacts. These are ancient rocks that have been pitted, abraded, etched, grooved, or polished by wind driven sand or ice crystals into various formations. I decided to sit by one and enjoy my lunch of peanut butter and crackers under one of the formations. There is no limit to your imaginations as the forms are "birds of prey", "elephants", "bells", "abstractions", etc. 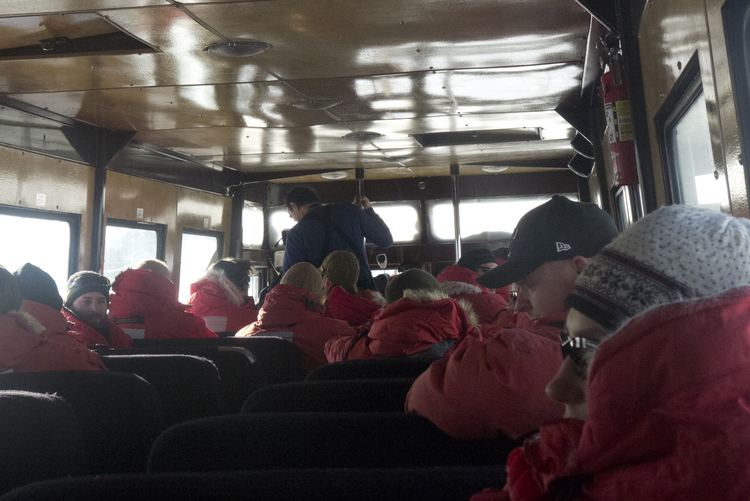 We head home after to Saturday night at McMurdo... followed by Sunday... Our day of rest. Hi Everyone... Weather here is somewhat problematic for photography but I used the time to do research and to interview some of the amazing scientists that are doing research here. I spent time with Yubecca Bragg who handles the Waste Management plant and got a birds eye view of the Waste management facility. She gave me an in depth tour down to viewing the microscopic bacteria that are added to the waste in order for the waste to be separated into recyclable water and solid waste. The waste will then get shipped back to the US and deposited in a landfill and the water is deposited in the Antarctic sea and then brought back up to the water filtration plant where it is filtered a by reverse osmosis is then used as our drinking water. Yesterday, I learned to navigate a website which would allow me to track the angle and elevation of the sun. Our last sunset here was on Oct 21 and the sun will not set again until Feb 20. So the sun right now is very low in the sky. It travels around the horizon in an elliptical shape. I determined that I can figure out how the sun would reflect off the part of the landscape that I wanted to photograph by first figuring out which way the landscape image faced and then the position of the sun at the time. Antarctica has an area called the Dry Valleys... No snow or ice… just rock, lakes and glaciers that feed into the valleys. It is quite exquisite, filled with wonders. This morning (Oct 26) we revisited the Taylor Glacier, which has an unusual red, orange and yellow coloration. The color of Blood Falls is due to the outflow of iron oxide, which taints the plume of salt water that is between the glacier and the bedrock below. It was 10.30 AM and the sun was only 9.8 degrees above the horizon and 105.22 degrees clockwise from North. Blood Falls faces NE so the sun would be shining on it as long as there was sun. All the things I need to figure out before I proceed to photograph... the only thing I cannot predict is if there will be clouds. On the way back from the Dry Valleys we watched the clouds resting on the Sea Ice. Tomorrow we will be visiting the Weddell Seals and their new Pups. Chandra, our FSTP person who makes sure that we don't fall into the ice, picked us up at 9:00 in the most luxurious vehicle here - a bright orange Hagglund. The purpose for this trip was not only to have the experience of seeing the Weddell seal colony but also to record their sounds above the water. 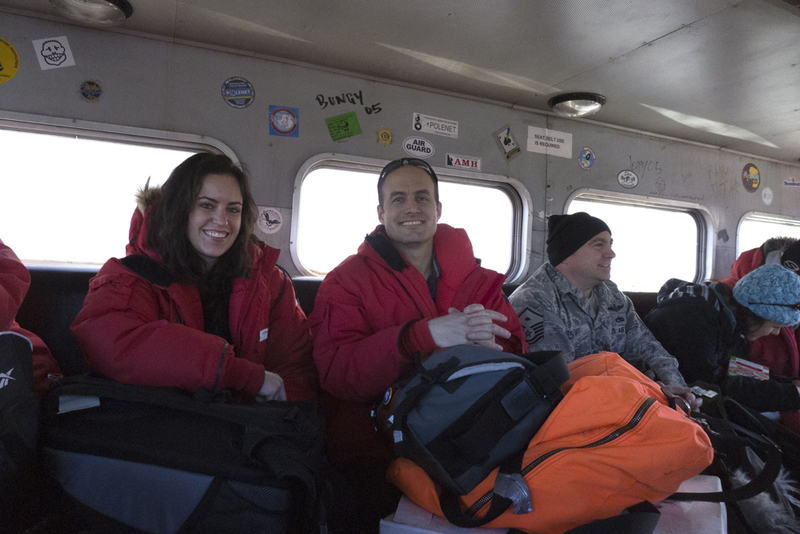 We took off across the Sea Ice to Big Razorback Island to visit Jay Rotella, the Weddell seal expert, who was tagging the Weddell seal pups that were just born. Through tagging they can keep track of individual seals and their habits and migration. The colony was comprised of mother seals and their newborn pups. Weddell seals are the most southerly mammal on Earth. This is the time of year when the mother seals birth their pups. The mother seals are between 880-1360lbs and have stored enough fat to nourish their pups until they are ready to be on their own. The pups are between 55 and 60 pounds at birth. After the Mom's instructions, the pups are ready to swim at about 2 weeks old. We watched a pup learn how to make a hole in the ice with his jaw. It started out as a little turbulence and ended up in a perfect hole with the pup’s nose poking out. Weddell seals can go without oxygen for 80 minutes and can dive down to 2480 feet deep. Anaerobic metabolism causes an increased build-up of lactic acid in the muscles. This lactic acid does not enter the blood stream until the seal surfaces. Weddell seals have a large amount of red blood cells/ unit of blood and an increased amount of oxygen carrying capability. They can reduce their heart rate and constrict their capillaries, which allow the red blood cells to be more efficient. By controlling the efficiency of red bloods cells, the Weddell seal can spend long periods of time under the sea ice. They do all of their mating, fighting, and eating under water and only come up for a rest in the sun or to birth their pups. All the Pups are nursing now so that they will be strong enough to be on their own in 2 months. It was quite a treat to witness all of this and to hear the grunts and squeals of the Weddell seals. As you found out in my previous blog, Antarctica is not just a continent of Snow and Ice. It has a large area where the snow does not settle... the Dry Valleys. The Dry Valleys are the closest of any terrestrial environment to the planet Mars. They provide a source of insight into possible extraterrestrial life. Victoria Valley is one of the most unusual of the Dry Valleys. It is here that you will find one of the world's most extreme deserts. The combination of strong steady easterly winds in the summer and a dry climate cause the formation of desert sand sheets. 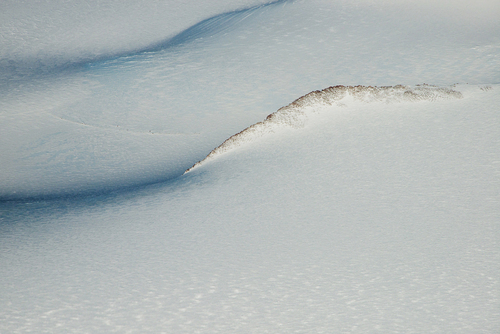 Within the sand are compact snow strata and ice cemented sections. The sand is a combination of different minerals including folded marble and quartz. I am anxious to "see" the effects of infrared light on these dunes. McMurdo Station is located on Ross Island in the Ross Sea of Antarctica. We are totally surrounded by water except for the winter months when the ocean freezes to form an ice sheet. During the winter the area around Antarctica grows by 75-100 percent with the addition of this ice sheet. Being here during this time gives me access to areas that I would not be able to go to during the summer when the ice sheet thaws. There are no boats in the summer and the only way to access the land is by helicopter or plane. The ice sheet allows for us to travel by snow vehicles and visit the glaciers, icebergs, and to view the seals and penguins. 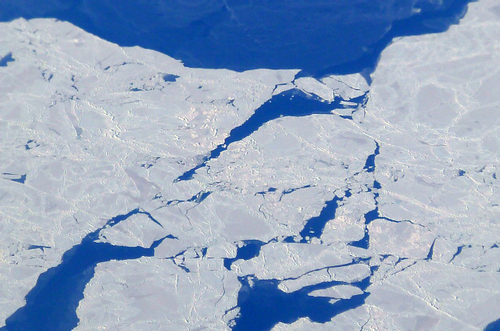 The Frozen Ocean has cracks and pressure ridges caused by the movement of the ocean. Today we went to visit an area of pressure ridges close to Scott Base (which is the New Zealand Base near McMurdo). The snow that lies on top of the ice contains bromine. 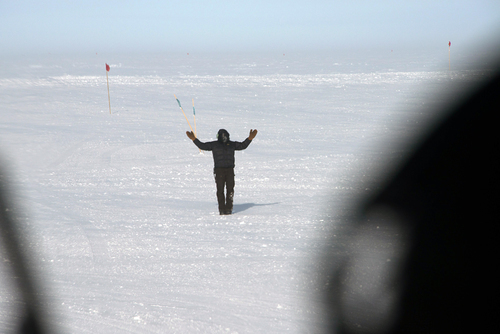 The scientists that I am associated with are tracking bromides that accumulate in the snowflakes on the Sea Ice. The bromides then go into our atmosphere (troposphere) and cause some ozone depletion. Since ozone depletion allows for more ultraviolet light to be released, I thought it would be interesting to photograph these Pressure Ridges. Lou Sanson, the head of the New Zealand Antarctic Program arranged for Murphy, Lars, Tom, Tim, Johannes and me to stay at the Cape Bird Hut for 2 nights. What a magical 2 days!! We arrived at the Hut, which was quite luxurious, featuring a full kitchen with Stove so I was able to cook for everyone for 2 days. Water is collected by melting snow and the toilet is equipped with a Pee hole and a Poo hole and a place to put the paper. Upon leaving the Hut, everything needs to be taken away including the dirty water from the dishes, paper, food, pee and poo. Cape Bird is situated on the sea ice with bands of open water... an ideal location for Penguin Colonies. The Adélie Penguins come every year to make their nests, lay their eggs, and raise their chicks until they are strong enough to be on their own. There are several colonies scattered on the rocks in Cape Bird. The number reaches 30,000 by the time all of the Adélies have arrived. At this time the male penguins are busy building nests for the female penguins. The nests are comprised of small stones arranged in a concave circle. It is hard work for the male penguins. They have to find the correct stones and make an attractive nest so that the female will agree to lay her eggs in his nest. Each male has to make sure that another male does not steal some of his stones. The male and female Adélies are always on the look out for a thief. The best nest on the hill. Once the nest is built the male sits in the nest and waits for a female to come to his nest so they can mate. The female Adélies are still out in the water, so the male Adélie calls out to lure a female to come to his nest. It helps if the nest is well built!! We are not sure if Human beings mimic these penguins or the penguins mimic human beings... But most females like a good provider! The sound of their calls fills the air. We watched a line of Adélies out on the sea ice, trying to get to the land. They waited for an hour before the first one went in. "Were there Leopard Seals in the water? "(natural predator). Not yet, but they were not sure. There is always a sacrificial penguin. The Leopard seal will eat just one, so it is a good sacrifice. One brave penguin led the pack and they all followed coming over the mounds of sea ice snow. I felt like I was watching a Disney Movie! Hopefully they all will all find a mate. Once the couples are paired off and mate, the female will sit on the nest until she lays 2 eggs (approximately 3 days). After the eggs are laid, male and female Adélies will alternate sitting on the eggs until the chicks are hatched. (Mid January). While one is sitting on the nest, the other goes out for food. Shared responsibility in bringing up the chick! The Adélies change the shape of their head according to their mood. Sometimes they prefer a slide rather than a walk. Sometimes they like to turn their heads for a little rest. We then explored the area and found an amazing Glacier. The sky is forever changing from the frozen droplets that lace the air. Robert Falcon Scott of the British Antarctic Expedition aspired to be the first person to reach the South Pole. His first attempt was in 1901, when he traveled on the ship, Discovery, and built the Discovery Hut in McMurdo Sound. Since the Discovery was trapped at sea and it was extremely cold and windy, Captain Scott felt that this was not the ideal place to house the expedition. In 1911 he returned and established a base in Cape Evans. This elaborate hut was fabricated in England and carried on the Terra Nova ship along with 25 other polar explorers. It had an attached stable for 19 Siberian horses and room for some husky sleigh dogs. The hut was insulated by sewing seaweed into a quilt and inserting it between the inner and outer walls of the hut. It was lit by gas and coal was burned for heat that was vented through the stove in the kitchen. It seems like the Heinz family could have been one of the sponsors. On November 1, 1911 the men left Camp Evans for their journey to the South Pole with dog sleds, ponies and motorized vehicles. On the way many died and unfortunately, when Scott arrived on Jan 18, 1912 he discovered that he had just missed being first by 2 weeks! 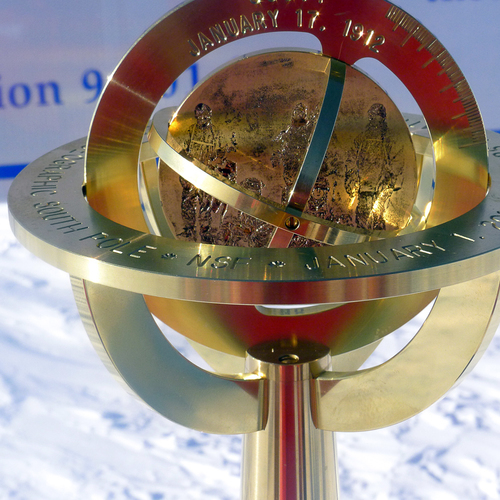 Roald Amundsen of Norway had been there on Jan 4. When they left the Pole, they were freezing, exhausted, disappointed, and sick with scurvy. Setting up a temporary camp on March 11, they encountered a blizzard and all froze to death. On November 12, a rescue team discovered the remaining men frozen, still in their sleeping bags. Scott's Hut was very well equipped and everything was left as it was in 1912. There was a full dark room, which used glass plates for records of their expedition. Extensive biological and chemical research was done. It is amazing that these men attempted such a feat in 1911. Antarctica is a harsh environment and extremely difficult to explore. Blizzards appear sporadically. The cold thin air is so much colder with the addition of the wind chill factor, which is always listed as part of the temperature. Today is a pretty warm day here. 12.2 degrees with a wind chill of -2.5 degrees. The South Pole is -49 degrees with a wind chill, which cannot be measured. After exploring Scott's Hut, we went to the Barne Glacier. The winds were so strong that if we did not have crampons on, we would have slid away on the ice. But anything for a good picture!!! I have been embedded with an atmospheric scientist, Dr. Lars Kalnajs, who is calculating the effects of bromine evaporation from the sea on ozone depletion in the Troposphere (our atmosphere). The interaction between salt, sea ice, frigid temperature, and sunlight releases bromine, which is absorbed on the frost flowers (snow flakes) of the ice and then released into the atmosphere. This atmospheric depletion can cause harmful atmospheric ozone depletion. There are 3 teams of scientists that are working on the effects of bromine in the atmosphere. The first, Dr. Rachel Obbard of Dartmouth is studying frost flowers, which are delicate ice crystals that form on the sea ice (ice slow flake). She takes collects these ice crystals in a net, and sends them to Dartmouth to be analyzed to see the percentage and location of bromine in each ice crystal. The next team, led by Tim Hay, is from New Zealand. They analyze and measure the composition of various gasses in the atmosphere including bromine. The last team, led by Dr. Lars Kalnajs, is measuring atmospheric ozone depletion caused by the release of Bromines from the sea ice. Lars has set up four 8-foot towers that will collect this data. They are located at Minna bluff, Cape Bird, Marlborough Point, on Lorne. He is in Antarctica to check this equipment and make sure all is functioning. The data goes back to The University of Colorado where it will be analyzed. Today I traveled with Lars to Minna Bluff, a site that juts into the sea ice. Perfect to collect this data. At 12,500 feet, Mt. 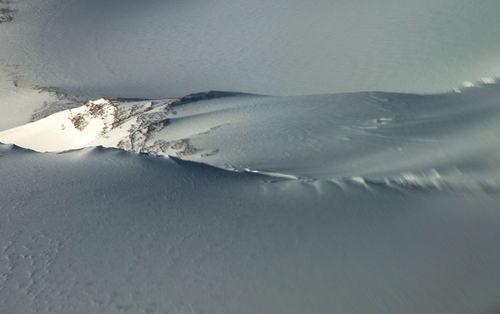 Erebus is the 2nd highest volcano in Antarctica and the most active. It is a persistent gassing volcano famous for its active lava lake. The study of these gasses and their significance in the atmosphere is much easier because of Antarctic's unpolluted air. The gasses released are CO2, CO, SO2, OCS, HCL, HF, and H2O ... HCL, HF, and SO2 are ozone depleting gasses. Sir James Ross named the volcano after his ship the Erebus. The first person to ascend Mt. Erebus was Sir Ernest Shackleton in 1908. When we go to locations that are somewhat dangerous, we are required to get field support. Since I planned on landing and walking around the fumaroles that are near the top of the crater, a mountaineer specialist from FSTP had to accompany us. The fumaroles are large ice towers near the crater that release some gasses. Being so high up, overlooking the Ross Sea, and looking up into the edge of the crater is quite spectacular. The ascent from sea level to 11,500 feet only takes 15 minutes so it is very difficult to acclimate. It took 3 1/2 hours to climb around 500 feet and back while taking photographs. We have been very lucky with the weather and most of what I wanted to capture has been done. The day was beautiful and I thought it would be a perfect day to get a little more recording of the Weddell Seals so we headed out to Turtle Rock to see what we could find. Turtle Rock has a seal colony that is being studied by Dan Costa's group. Dan had finished his research and we were able to go out undisturbed to visit the seals and their pups. We followed the sound of a newborn pup and his mother. He was so loud that I was able to capture the sounds of him sucking and swallowing! The next day I revisited the Pressure Ridges which have provided me with some of my best photographs. ...so in addition to hand warmers, you can put your hands on a warm stomach if you can find a brave soul. 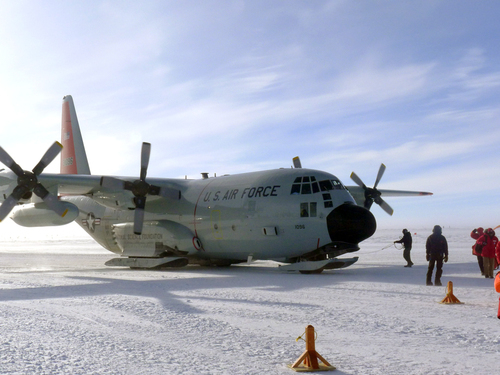 McMurdo has an extensive air fleet that is necessary to fly people and cargo to the South Pole, Christchurch, and to the many camps that are set up in Antarctica. Some places can be reached using a 212 Helicopter, but most require a small plane that can handle the extreme weather conditions and can fly supplies and reach distances that cannot be reached by helicopter. There is an Air Force and National Guard presence here and I have become friendly with some of the military. Today there was an open house to visit the various planes that are on the runway. The C-130 can go much farther and hold much more cargo. It will be the plane that we take on the 14th to go to the South Pole. Notice that all of these planes have skis in order to land. All of the landing strips in Antarctica are on ice. Going back from the airstrip we saw a lost penguin and a few lone seals... Just another day in Antarctica!! We are finally going to the South Pole where we will be met by Paul Sullivan to give us an extensive tour of the facilities. Besides being very interested in the research being done at the South Pole, I am also interested in the differences in light between the South Pole and McMurdo. The South Pole is 700km due south from McMurdo and has the purest air in the world. It is an ideal place to study the atmosphere, galaxies, and small particles known as neutrinos. We check in at building 140 with all of our ECW gear (our orange bags that carry our emergency equipment in case we need to stay over at the South Pole). 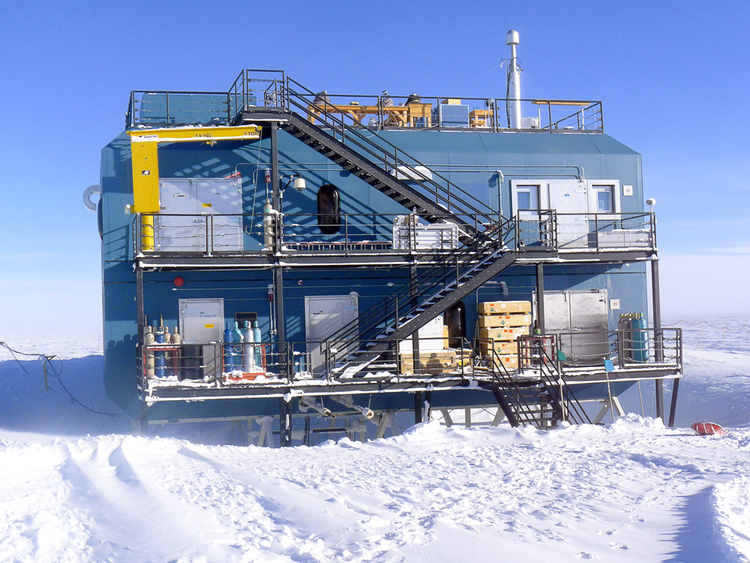 The South Pole Station has been rebuilt and is both functional and attractive. The Station houses science research, housing, a post office, store, lounge, dining, and offices. The weather never reaches 0 degrees so being inside most of the time is essential. Today it was a mild day at -37degrees with a wind chill of -64 degrees. Our first visit was to the ARO (Atmospheric Research Organization), which is part of NOAA (National Oceanic and Atmospheric Administration)... It is here that the atmosphere is analyzed. 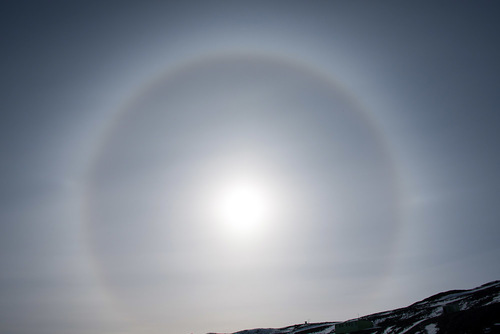 The South Pole has the purest air in the world and therefore it is an ideal location to measure UV light, ozone depletion, and the composition of various atmospheres around the world in relationship to the atmosphere in the South Pole, which is extremely pure. It looks like CO2 is rising all over the world. One of the reasons is that the earth is getting warmer and when the soil defrosts. The earth releases Carbon, which will be used by microorganisms that will metabolize the Carbon and release CO2 into the atmosphere. The increase in CO2 will warm the earth. The next facility is the home of the Ice Cube Project. This project focused on detecting invisible uncharged particles called neutrinos. A neutrino can travel through the earth from the North to the South Pole. There are neutrinos everywhere including the atmosphere and the mapping of them is of great scientific interest. The Ice Cube project consists of drilling 86, 2 Kilometer deep holes in the ground. The holes were spread over 1 square Kilometer. In each hole, a cable with 56 DOM's was suspended. The hole was then filled up with water, making the entire underground space a 1 Square Kilometer Ice Cube. 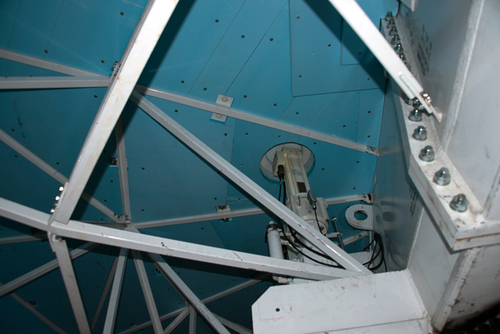 This telescope measures in the microwave, millimeter wave and sub millimeter wave region of the electromagnetic wave spectrum. It can find hundreds of massive clusters of distant galaxies. The atmosphere at the South Pole is thin and extremely cold which eliminates water vapor. Water vapor can emit radiation, which can interfere with incoming astronomical signals. This is a detailed view of the CMB (Cosmic Microwave Background) or the radiant light left over from the Big Bang (13.5 Billion years ago). This photograph is from 400,000 after the Big Bang. Because light takes so long to reach the Earth, the telescope can show what happened in the past in the universe. 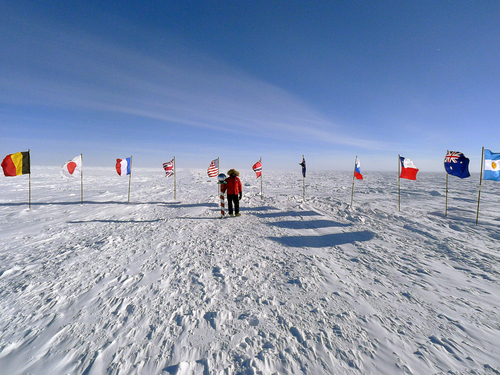 We then went to the geographical South Pole. 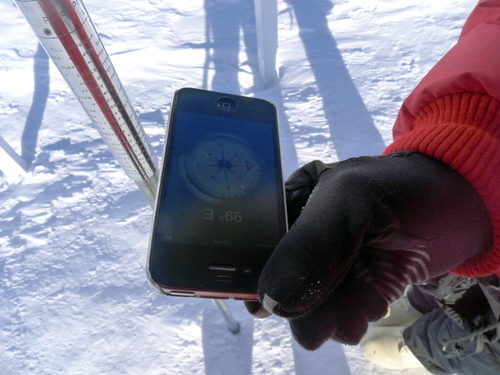 This is where all GPS is measured from… the South Pole is 90 degrees. Of course we walked around the Pole so we could be in all time zones in a few seconds! 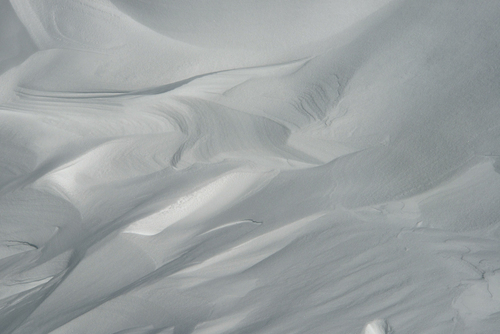 I did take some photographs of the snowdrifts. The snow is so pure, fine, dry, and devoid of any impurities that the snowflakes do not reflect and refract the light as would if the snowflake were in another location. 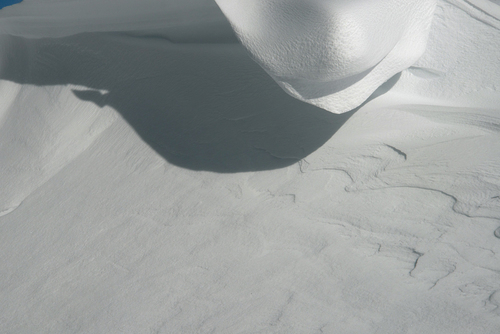 The snow is very smooth and gives an unrealistic view of the ripples in the snow. It is a strange feeling to be at the bottom of the world where all points point North. It all went so quickly and I had so much to learn on my last day. Our C-17 was leaving for Christchurch at 4:00PM and I had to pack in as much as possible in the few hours I had left. At 7:00AM I met the head of the Carpentry shop for breakfast. We headed up to the top of the hill where I was able to have a first hand experience of the "coolest" department. I then went to visit Welding and met Henry Finch who is 73 and a retired welder. He teaches jewelry making 3 days a week at McMurdo and has been coming to the Ice for the past 8 years since he retired. It was then time to visit the Pressure Ridges for the last time. The day was warm (12 degrees), no wind, blue skies. This would be my 3rd visit to the Pressure Ridges. 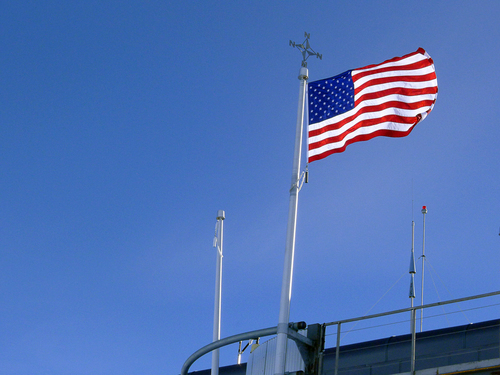 McMurdo is a town with every service necessary to be a self-reliant town. It was particularly interesting to see how a town operates. After eating a quick lunch (last meal at the Galley! ), I squeezed in a visit to the Power Plant, Water Filtration facility and Waste Management. The Power Plant has four huge generators that create so much heat that they provide most of the hot water necessary for McMurdo. Becca is in charge of all of the Waste recycling at McMurdo... she is a Microbiologist and spends her day making sure that each microorganism is doing its job in getting rid of any organic waste. 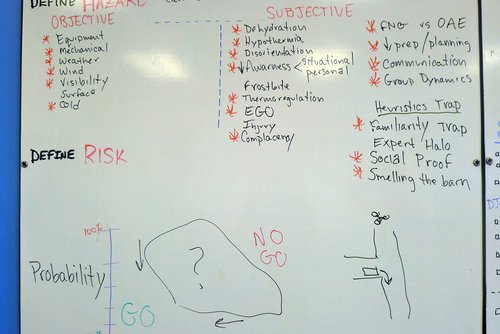 This is the chart of the various microorganisms that are necessary to do this job. After the solid is separated from the liquid, the clean liquid is deposited in the sea. The water that we drink is from the sea and is desalinated by reverse osmosis. Chlorine is added and we have our drinking water! This is the solid waste left after all of the microorganisms do their work. It has no smell and is put into containers, which will be shipped with all of the other trash to California on the Icebreaker in December. This waste will be incinerated. Other waste will go to landfills. It was now time to get into the Delta to board the C-17 to Christchurch. It will be the first time we will see dark since out arrival in Antarctica.